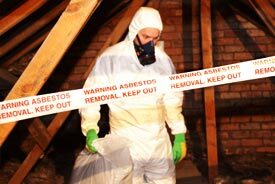 Whenever the identification and assessment of a facility reveals the need to conduct an abatement activity, it is imperative that business owners enlist the services of competent professionals, especially where asbestos, lead, and mold are present. Business owners need to be assured that the contractor portion of the project is planned, bid, awarded, implemented, and documented in a manner that serves the best interests of the organization. This is a particularly intricate task because much of the work activity is conducted behind critical barriers. For these reasons, business owners turn to Environmental Support Network, Inc. because of their expertise in the multifaceted aspects of difficult environmental projects. Environmental Support Network, Inc. has provided project oversight to industries of all types and is relied upon by organizations to provide professional services for the protection and security of the facility owner.